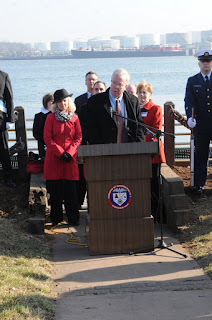 On January 10th, 2012 the 60th year of commemoration, we honored Captain Carlsen and his heroic effort on board " S.S. Flying Enterprise" trying to save his ship. 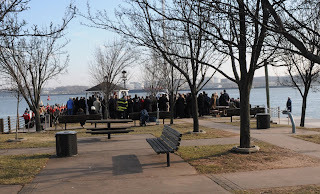 On this blog you will find pictures from the ceremony in Carlsen Park in Woodbridge Township. 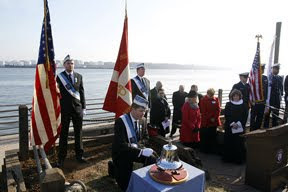 We have also added links to more pictures from the day, videos and online articles posted by newspapers and magazines regarding the 60th year Commemoration of Captain Carlsen. During the Christmas season of 1951, the S.S. 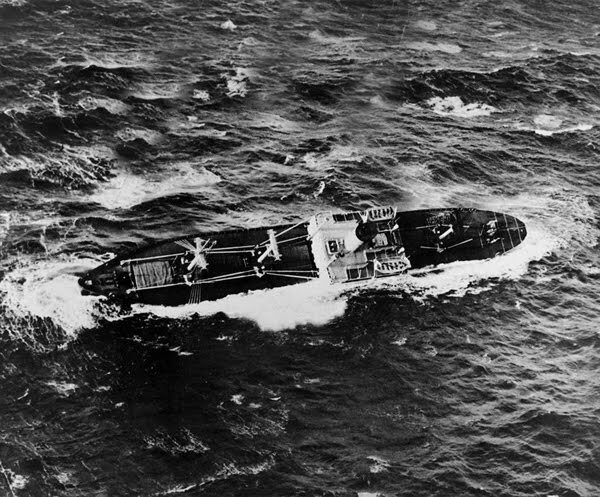 Flying Enterprise was hit by a severe storm in the North Atlantic. Pummeled by the rough seas, the S.S. Flying Enterprise broke up. 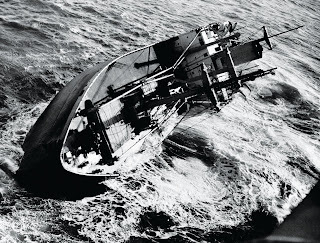 Captain Carlsen and his crew went beyond the call of duty to save her under the most difficult conditions. In the end, Captain Carlsen made the call to abandon the ship. 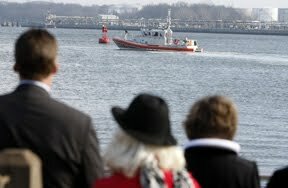 Forty crewmembers and 10 passengers were successfully transferred to aiding vessels. Most regrettably, one passenger perished. 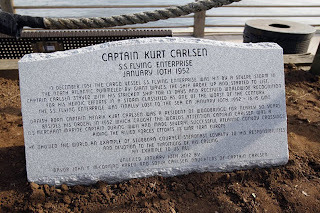 However, Captain Carlsen stayed with his stricken ship for 13 days and received worldwide recognition for his outstanding seamanship and heroic efforts in a storm classified as one of the worst of the century. 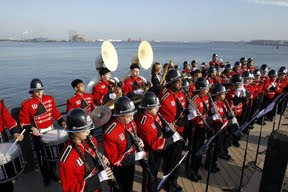 The S.S. 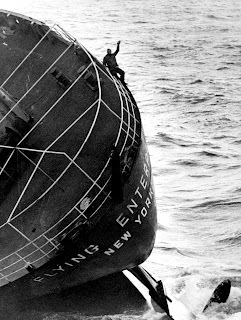 Flying Enterprise was finally given to the sea by Captain Carlsen, who jumped from the funnel. 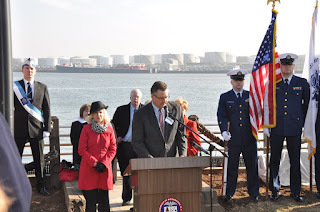 As a final gesture to his ship, he left his Captains Cap on the funnel before letting her go. 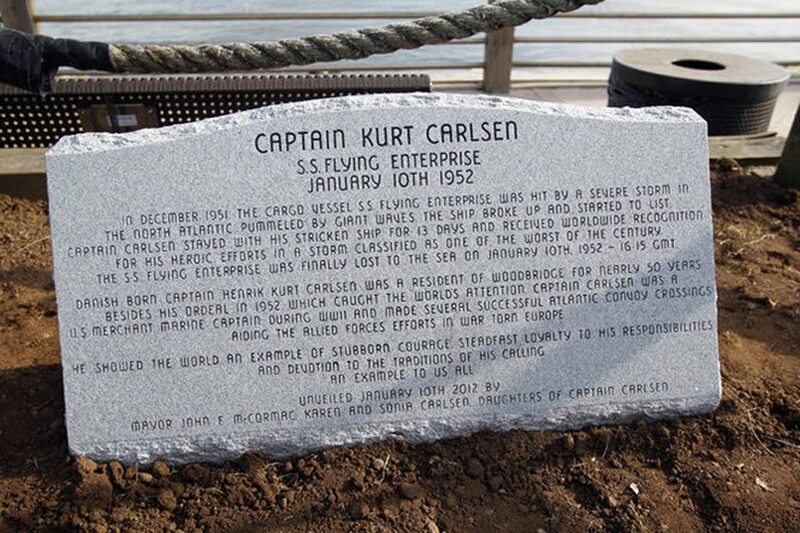 The amazin story, which gave Captain Carlsen unwanted world fame, is retold in the book "Flying Enterprise & Kurt Carlsen" by Bjarne Bekker. 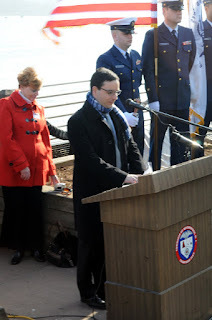 Mr. Bekker was an active participant in the ceremony as a leader of the Caroline Choir. For more information about "Flying Enterprise & Kurt Carlsen" please go to www.flying-enterprise.com or www.flying-enterprise.dk. The s.s. Flying Enterprise listing heavily (60 degrees) a few days after she was hit by 2 huge rogue waves. The crew and passengers was rescued by aiding vessels. 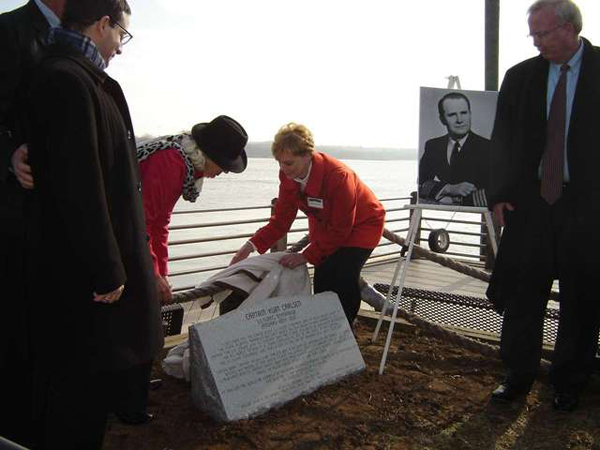 On the photo to the right Captain Carlsen can be seen on the railing at the stern. This photo went round the world and Captain Carlsen was soon after called Captain Courageous. All vintage photos were provided courtesy of Bjarne Bekker. 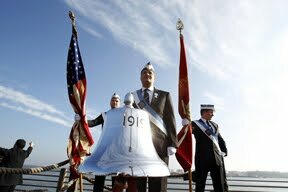 Royal Danish Guard ringing the bell at 11:15am - marking the exact time the S.S. 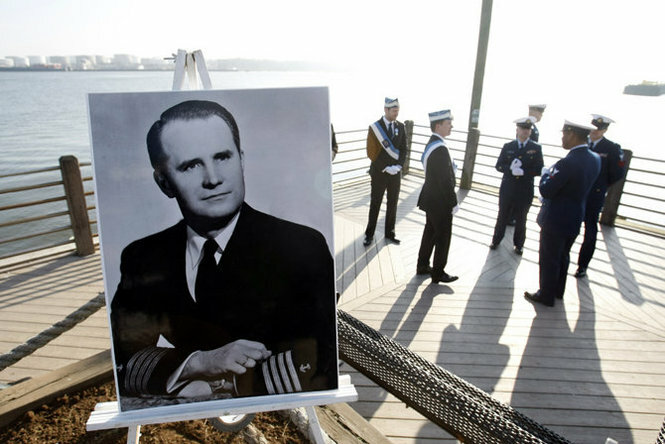 Flying Enterprise was lost to the sea 60 years ago. 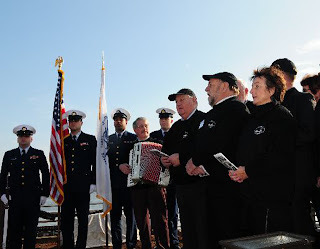 US Coast Guard vessel saluted the memory of Captain Carlsen by blowing the whistle 3 times.